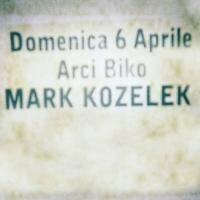 With Live at Biko, Mark Kozelek delivers a live set of highly compellingly autobiographical later period work that sets a new standard for the nakedly confessional singer-songwriter. In recent years former Red House Painters and current Sun Kil Moon front man Mark Kozelek has become a prolific self documentarian, not only in song with his sprawling, minute-detail-heavy epics, but also in the number of releases, live and otherwise, that have cropped up on his Caldo Verde label. Whether operating under his given name, Sun Kil Moon or in collaboration with others, the constant at the center of any of these releases is Kozelek’s inimitable vocal presence, sonorous in tonality, vacillating between sighs and shouts in execution. Facing down middle age, Kozelek has ramped up his musical output, capturing and issuing seemingly every mundane thought that crops up in his mind, framing it contextually and unabashedly autobiographically, and placing it against a backdrop of gently strummed nylon-string guitar. Eschewing fictional explorations of characters real and imagined, Kozelek mines his personal life and troubled family history for inspiration, leaving no stone unturned in the process, turning innumerable seemingly mundane details into sprawling, compelling epics. Like the best storytellers, Kozelek knows pacing and, imbuing his recent output with a narrative through line, connects all of his projects with his nakedly autobiographical, confessional-transcending lyrical approach. Moving from chronicling the burdens inherent in the aging process, both physically and psychologically, to the notion of home and those left behind, Kozelek has found an ideal niche largely his own, making the most of deeply intimate and personal details others would pass over in favor of more universal subject matter. But in focusing so strongly on the deeply personal Kozelek manages to avoid the insular nature of navel gazing and tap into themes previously unexplored musically. In an age when everyone shares everything, Kozelek takes this to the extreme, simultaneously parodying and transcending contemporary society’s propensity to over-share, in the process finding it an exercise in catharsis. From the unsettling feeling Kozelek gets when turning his back on a hired illegal immigrant construction worker (“Gustavo”), with whom he had spent time during the demolition of his home, when he gets deported, we get an in-depth, lyrically dense play-by-play of a hyper-real event that comes on more like the recitation of a short story that what is commonly acknowledged as standard singer-songwriter material. Here and throughout his recent work Kozolek subtly pushes and explores the boundaries of contemporary songwriting, crafting highly detailed character studies that would translate to and become just as impactful on the page were they simply delivered as a collection of short stories rather than rambling story-songs delivered against the backdrop of his gentle, cascading nylon-string playing. Even after repeated listens it can become exhausting attempting to parse out each and every detail of such shambolic, lyrically-rich, autobiographical material as “I Watched the Film the Song Remains the Same”, here pared down significantly from its epic running time on Benji. Even at nearly half the length, the hypnotically repetitive guitar figure coupled with Kozolek’s sonorous baritone makes it nearly impossible to catch each and every lyric, skipping from an early childhood viewing of the titular film through to his current realizations regarding those who helped him most along the way to establish his current direction and in finding his place in the world. While each song’s narrator remains Kozelek, his adherence to time and place remains fluid, jumping from forty years ago to 40 minutes ago in the span of a line or two. This stream-of-consciousness approach aids in the confessional nature of the material, drawing connections between the significant and the mundane to show how each helped form the present iteration of himself and those around him. While not nearly as rollicking as in its full-band treatment, “I Love My Dad” still perfectly conveys sentiments that can often be hard for sons to share with their fathers, especially those who’ve held more of an authoritarian, though paternally forbearing position. Here Kozelek turns the mirror on himself, striving to reflect the lessons of his father in his own imagined parentage. Unfortunately, do to a perceived language barrier, Kozelek decides to stop the song mid-way through, noting that the song’s subtleties in humor and references simply do not translate in Italy. It is here the density of Kozelek’s material is officially called out by the artist himself, admitting the complexity of some of the sentiments being conveyed and his reliance on a shared linguistic understanding that can make performances of his most recent works harder to properly convey in non-English speaking countries. Having acknowledged this disconnect, Kozelek shows his vulnerability and nakedly confessional tone is no front and rather the musical embodiment of his day-to-day, relying on his abilities as a storyteller to connect with his audience. When that connection is perceived to have broken, Kozelek takes control of the situation, ensuring each and every word is understood and, when not, calls a stop to the proceedings, albeit somewhat self-deprecatingly, and moves on, ensuring his audience is present with him all the while. “Dogs”, yet another epic, lyrically-rich song from Benji, here benefits from the hushed setting and limited reverb on Kozelek’s vocals, allowing for each intimate detail to be heard clearly and fully, recounting a myriad early sexual encounters in all their cringe-inducing detail. Bristling at an audience member who dared talk and sit on the stage during the song’s performance, Kozelek proceeds to gently tear into her, looking to get his message across by embarrassing this woman (Sarah), asking if she enjoyed the song’s heavily sexual content, pushing the issue until finally she recants and, one would image, vacates the stage. It’s a briefly uncomfortable moment played largely for laughs, but with a hint of malice underneath. During its hour-and-20-minute run time, the confessional, autobiographic nature of the material on Live At Biko becomes somewhat exhausting, Ever perceptive, Kozelek acknowledges this during a monologue following “Micheline” in which he asks the audience if they’re tired of hearing the ramblings of a middle-aged man. It’s this candor and openness that helps ingratiate Kozelek with his listeners and hints at why he has the cult-like following he does. Elsewhere, Kozelek becomes audibly dejected when he learns he still has another hour to fill with his material, seemingly drained himself by the overwhelmingly emotional and heavy nature of the songs he himself penned. From there he goes on to give a characteristically rambling account of the weeks leading up to this particular performance, providing justification for his current exhausted and somewhat irritable state. Perhaps more than any other contemporary performer, Kozelek operates with his heart unabashedly on his sleeve, willing to share details others would prefer to gloss over not only in his songs, but in his general interaction; there is no need to wonder what’s on his mind at any given time as he proves himself more than willing to share. With the focus more on storytelling and the lyrics themselves, the notion of melody often suffers as each song serves more as yet another vehicle in which to convey the lyrics rather than an individual piece of music that could stand on its own. Given the thematic through line and stylistic similarity, there is a fair amount of melodic similarities. Like a classical motif, Kozelek’s gently rolling melodies borrow from one another here and there, fusing themselves to new words and stories, yet remaining largely unchanged throughout. Were it not for the compelling lyrics themselves, this lack of melodic variation would become far more exhausting than it ultimately proves to be. As is, it’s only slightly distracting in that “Dogs” could easily become “Hey You Bastards I’m Still Here” and vice versa. “Carissa”, here slowed somewhat, plays even more devastatingly that in its full-band treatment on Benji. Stripped down, Kozelek is able to lean into each and every depressing detail for maximum impact, singing resignedly, essentially sighing his way through the song, the feeling of loss and regret palpable in his voice. Rather than a simple elegy for the titular departed, “Carissa” becomes a meditation on life itself and the importance of understanding one’s place in a larger social and familial context; finding one’s self requires connecting with those from whom we originated and the places from which we came, providing contextualization and comfort in times of emotional and spiritual duress. By disc’s end, even with a passing familiarity with Kozelek’s creative output over the last several years, you feel as though you’ve been thoroughly engrossed in a rambling autobiography that finds comfort in the past, connections with the present, and solace in the mundane. Ultimately the music itself is secondary, the lyrics and storytelling therein the main attraction and the only reason for non-die hard Kozelek fans to pick up this particular live release from one of the most revolutionary contemporary songwriters. Thoroughly exhausting, but highly rewarding, Kozelek’s recent work is some of the most rewarding of his career, Live at Biko proving no exception.